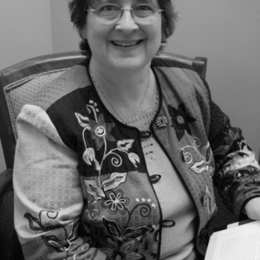 Barbara Hampton has retired as Consultant at the Writing Center of the College of Wooster (OH) and as adjunct professor of First Year Seminar. She volunteers regularly with InterVarsity Christian Fellowship, advising and mentoring students and staff and speaking at conferences, particularly in recent years about her passion for dialogue between Christians and Muslims. With Gladys Hunt, she is author of Honey for a Teen's Heart, and has authored several articles focusing on Islam: "To Die For: Reading Salman Rushdie's The Satanic Verses after 9/11" (Pro Rege), "Speaking Truth in Love: A Review of Books on Muslim Christian Dialogue" (Christian Scholar's Review) and "Dialoguing with Liberals and Terrorists" (Comment). She is wife to Charles, formerly a math professor at Wooster and now at Calvin College in Grand Rapids MI, and mother to her adult daughters, Jenny, Ellen and Karen. She will be volunteering as an ESL teacher to some of the many immigrants in the Grand Rapids area, including Muslims.